Eric Hoste is board Certified in Internal Medicine and Intensive Care Medicine. He obtained a PhD Doctorate in the Medical Sciences, on 30th November 2004 entitled “Acute Renal Failure in Critically Ill Patients”. Eric Hoste obtained many scientific awards and prizes. Best oral communication SIZ (Belgian Society of Intensive Care Medicine) spring meeting, Charleroi, Belgium, 2002. Best oral communication SIZ (Belgian Society of Intensive Care Medicine) spring meeting, Brussels, Belgium, 2003. EDTNA/ERCA, Geneva, September 5th 2004. SIZ (Belgian Society of Intensive Care Medicine) award for the year 2005. ECCRN/ESICM Clinical Research Award. Berlin, Germany (3-5 Oct 2011). He is the Chief of Clinic, Intensive Care Unit, Ghent University Hospital, Belgium. Eric was a Research fellow in Critical Care Medicine, The CRISMA laboratory, Department of Critical Care Medicine, University of Pittsburgh School of Medicine, in 2003. 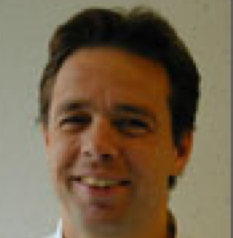 He is Professor in the rank of senior lecturer appointment to the Ghent University, Faculty of Medicine and Health Sciences and also is a Senior Clinical Investigator of the Research Foundation-Flanders (FWO). He is member and scout for the ISN/Renal Disaster Relief task Force. Within the European Society of Intensive Care Medicine (ESICM) Eric is Deputy of the Acute Kidney Injury Section and member of the ESICM European Critical Care Research Network (ECCRN). He has been president of the Belgian Society of Intensive Care Medicine (SIZ) and his research interest focuses on clinical critical care nephrology. He is author and co-author of 104 publications in peer reviewed journals and 20 book chapters.